Do you have the fountain in your city? Can it sing or dance? What shape is it? Thousands of beautiful fountains are situated in the big and small cities all over the world. Some of them are unique exhibits. The most of them are world popular attractions to be strange, unusual, originally decorated. Just try to walk around the fountain and learn it. Tourists are ready to go to any country to see a couple of unique architectural creatures. You can find it in different countries of the world. Let us start! One of the most glorious and symbolic fountains of our planet is situated in New York. 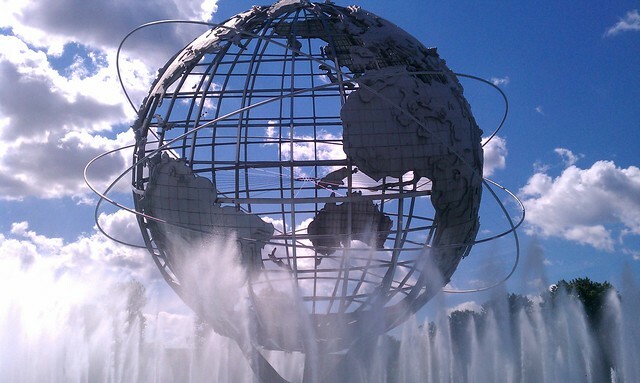 It is all about the Unisphere Fountain which is situated in the Meadows-Corona Park. It was specially created for the World Exhibition 1964 – 1965. The main fountain decoration was the model of the Earth to be the biggest globe in the world. The composition is made of the stainless steel to be 50 meters high. The weight of the construction is 400 tons. It is like the twelve-storey building. The big globe was established in the center of the round basin to be surrounded with fountains. It looks like the big planet is floating in the water. The Magic Fountain of Montjuic is a name of the grandiose fountain that is placed in Barcelona. It was also built for the big exhibition of the year 1929 in Barcelona. The construction is more than 100 years old. It still impresses with its futuristic style. The Magic Fountain is equipped with the interesting lights and music. More than 3000 people worked on it. It was needed about 20 people to keep the fountain in order. Now the systems are automated. The fountain water streams are 3 620 to make three circles different by size. More than 2 600 liters of water go through the fountain pipes. More than 2,5 million people come to see the beauty of the fountain every year. What is interesting, the fountain works the year round. The music show is being held every week, several times a week. This is time when you can enjoy the classic music, amazing lights and water harmony. You should visit amazing music fountain in Dubai near the Burj Khalifa Tower. The fountain was designed by the experienced and creative specialists of the American company WET. The fountain is one of the highest and tallest in the world. It is 275 meters high. The water stream is 150 meters high. The fountain construction includes 6 600 lights to color water into 25 different colors. The unique construction was opened in 2009 to spend more than 200 million of dollars. This complex construction is able to take up into the air more than 83 tons of water. The light from the fountain are seen for 30 kilometers. The music includes dozens of compositions. The show lasts several times a day for 30 minutes. The fountain structure is unique. The water streams generate more than thousands of different combinations. So, you can see that every new show is unique. The specialists of WET Company proved that they can renew the fountain to make it more powerful. They think that it is not difficult to make the fountain stream higher than 275 meters. The view is impressive as the rest of Dubai buildings. They all are architectural masterpieces. The ancient fountain is one of the most popular city attractions in Rome. It is popular all over the world. It is said that the world-famous tradition to throw down the coin into the fountain was born right here. The fountain makes money! It earned about 3000 EUR the latest year. Of course, there are many tourists who want to visit Rome at least one more time. Trevi Fountain is considered to be the most beautiful in the world. It is decorated with interesting sculpture composition. 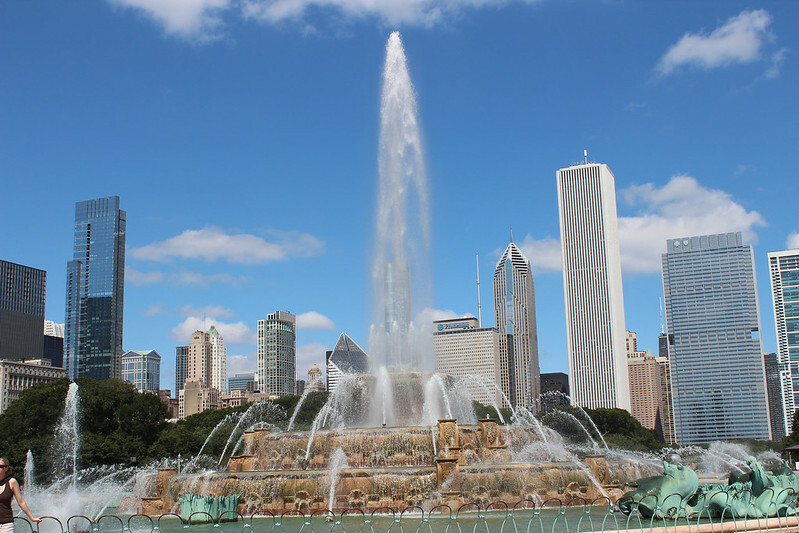 The amazing Buckingham Fountain is situated in Chicago on the territory of the picturesque grand park. This fountain is named the most beautiful and elegant creature in the world. The father of it is one more amazing fountain – Latona Fountain from Versailles. The fountain looks like a huge wedding pie. It is done in Rococo style to be decorated with stylish architectural compositions. It is small but very interesting fountain that attracts all tourists. Why is it special? 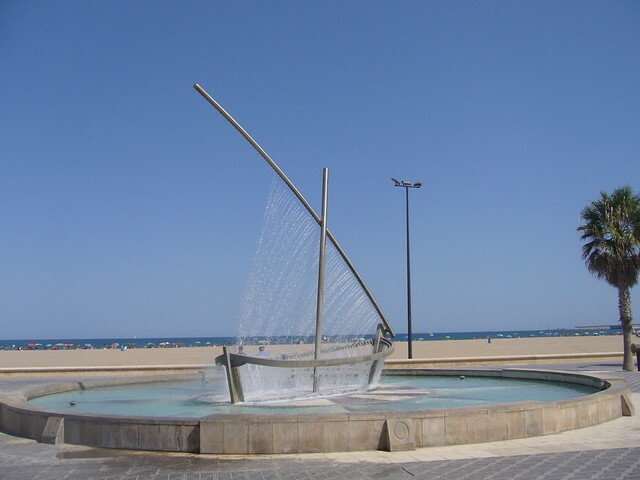 The sea coast is equipped with the fountain-boat that consists of the metal constructions and water streams. The main elements are made of metal pipes with the holes. The thin streams of water make the form of boat and big sail. The fountain is built in the center of a big round basin. It looks like the boat is sailing in the water. The fountain boat is located not far from the popular beach. It is always crowded here. There are many comfortable benches and trees around the fountain to have some rest in a sunny day. This is also popular place in the evening. You can see a lot of tourists and photographers around the fountain. If you come here at night you can see the mysterious boat, sparkling with different colors. It is interesting to know that you can see the same fountain in Portugal and Israel. Nevertheless, the fountain in Valencia is still the best-visiting impressive place. It is plain in construction but amazing and gentle to see. Previous Why Are Campervans Such A Safe Mode Of Transport? Use Coupons To Shop from Leading Online Stores and Save Money!